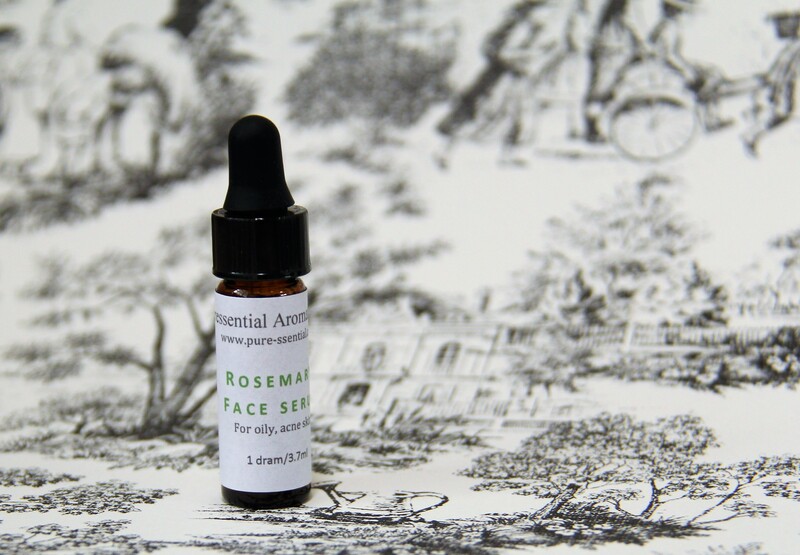 Rosemary Face Serum for Oily or Acne prone skin. Winter is here and the dry indoor and outdoor air does a lot of damages to the skin if it is not taken care of, even oily skin! + Hazelnut oil is a “dry feel” oil, together with Argan oil creates a skin nourishing base. + An effective blend of 100% pure essential oils including Rosemary and Tea Tree control and balance oil sebum. + High in carotenoids and other potent antioxidants, Sea Buckthorn harmonizes all the therapeutic properties of this blend. + Comes in a sample size 1 dram/3.7ml amber glass with easy dispensing glass dropper. + The aroma is that of clean air and uplifting emotionally. Direction: Shake before use. After cleaning and/or toning, apply 3-5 drops to the slightly damp face and neck. Gently press your face and neck for the beneficial ingredients to penetrate the skin. Gently wipe off excess oil with a soft tissue. Or add to your favorite unscented moisturizer for extra nourishment.